9071 Tracy Court #8 Boca Raton, Fl 33496 has been sold. You can view available homes in Town Villas. KITCHEN LOVER'S DELIGHT!!! GORGEOUS COMPLETE REMODEL TO THIS 2BD/2BA/1CG CORNER VILLA ON THE LAKE JUST FOUR YEARS AGO. THIS HOME WAS LITERALLY GUTTED AND REDONE. FEATURES INCLUDE IMPACT RESISTANT WINDOWS, BEAUTIFUL BATHROOMS, KITCHEN WITH GRANITE COUNTERTOPS AND FULL GRANITE BACKSPLASH. CUSTOM CHERRY WOOD CABINETS WITH HAND APPLIED STAIN, HALF INCH SHELVING AND SOFT CLOSE FEATURE. 24 INCH IMPORTED ITALIAN CERAMIC TILE THROUGHOUT. 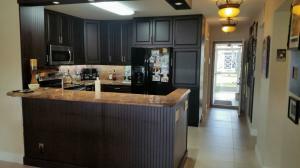 NEW WASHER, DRYER, HOT WATER HEATER, STAINLESS STEEL STOVE, MICROWAVE AND BOSCH DISHWASHER. TWO MASTER SUITES. FRONT AND REAR SCREENED PATIO ENCLOSURES. WALK TO THE CLUBHOUSE AND SHOPPING. COME AND ENJOY THE LAKE VIEW FROM THIS MOVE-IN CONDITION HOME. 55+ COMMUNITY. A MUST SEE!!! 9071 Tracy Court #8 located in Boca Raton, FL is a townhome with 2 bedrooms, 2 full baths and 0 half baths.The Townhome at 9071 Tracy Court #8 was built in 1987 in Town Villas and offers a 1 car garage. This Town Villas Townhome offers pool, tennis, clubhouse, exercise room, library, sauna, shuffleboard, spa-hot tub, billiards, manager on site. 9071 Tracy Court #8 Boca Raton, Fl is currently listed for $249,000 under the MLS# RX-10433229. This Townhome has been put on the Boca Raton MLS system and currently has a status of SLD. Town Villas listing courtesy of Mirsky Realty Group Inc.
Town Villas in Boca Raton is really a wonderful community in a great city. If you like the beautiful Boca Raton location but you are not sure about this community. You might like one of the other local communities like Johnston Heights or Boca Woods Country Club or Boca Raton Riviera or Mizner Lake Estates or Sandalfoot Cove that are located here. Information in regards to Boca Raton real estate and Town Villas Townhomes for sale or any other areas may have come from a cooperative data exchange service. All rights reserved. Information deemed to be reliable but not guaranteed. The data relating to real estate for sale on this website comes in part from the IDX Program of the Florida Regional MLS. Listing broker has attempted to offer accurate data, but buyers are advised to confirm all items. We provide all information about Boca Raton Townhomes for sale and Town Villas real estate and all other site listings as is with absolutely no warranties. This site will be monitored for 'scraping' and any use of search facilities of data on the site other than by a consumer looking to purchase real estate, is prohibited. Feel free to contact our agents to find a great Town Villas Boca Raton specialist.